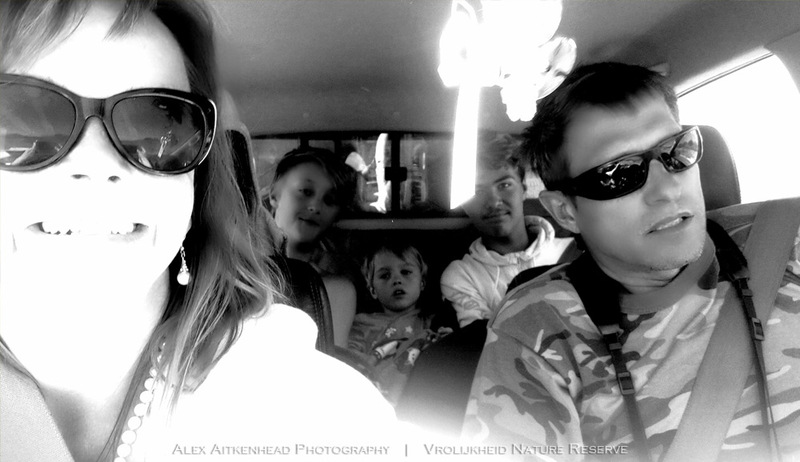 Trying to find a quick getaway in close range to our home was not that easy at such short notice. 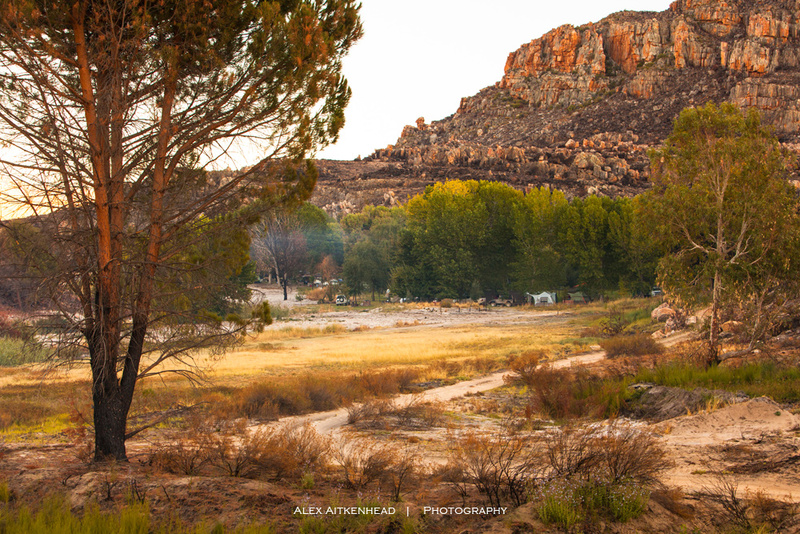 We had our heart set on Grootvadersbosch, but they were fully booked and camping was not an option for us. 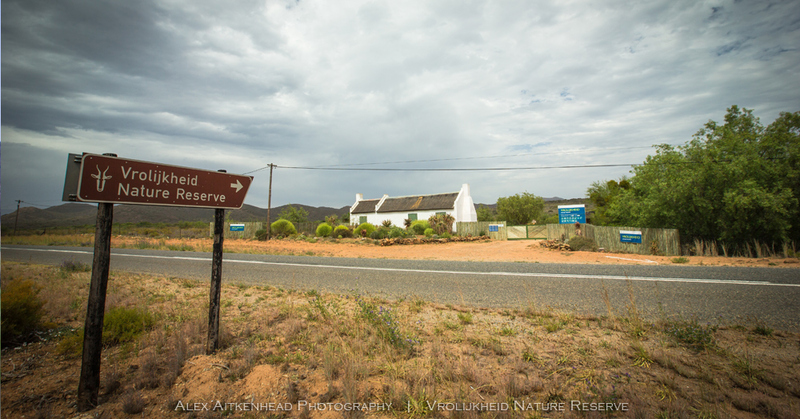 A quick scout around for available accommodation gave us 2 days at the less familiar venue of Vrolijkheid Nature Reserve near McGregor in the Cape Winelands. 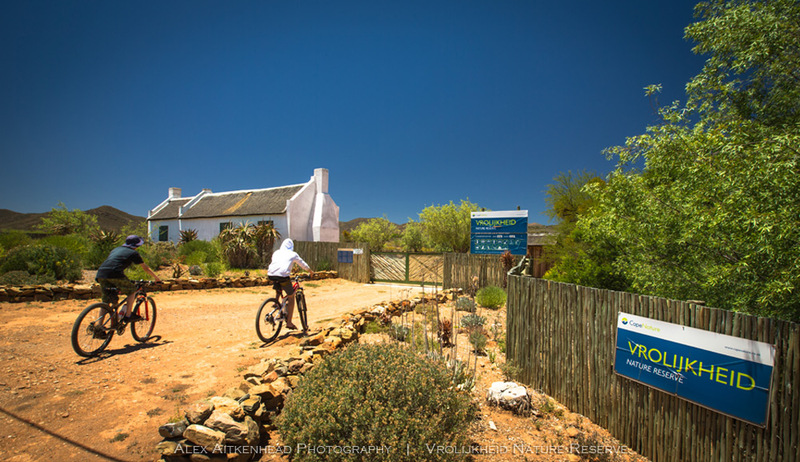 Very little information about this venue was on offer and we had to go by all the information received on their information brochure care of Cape Nature. 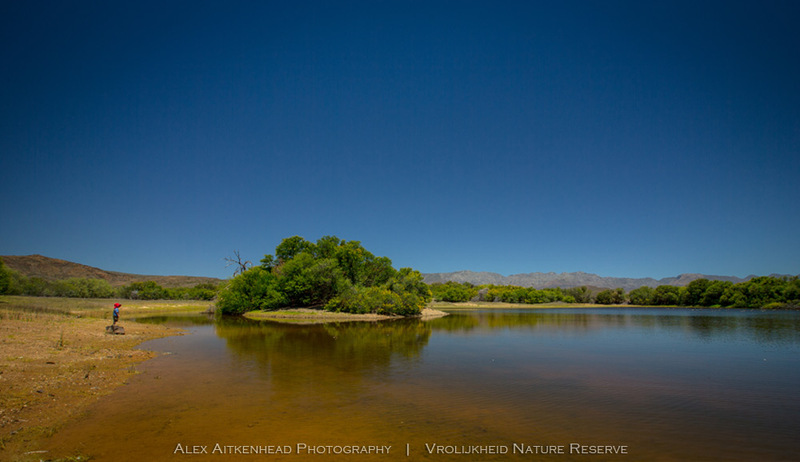 Vrolijkheid Nature Reserve lies in the Breederiver Valley, about 15km south of Robertson in the Western Cape. 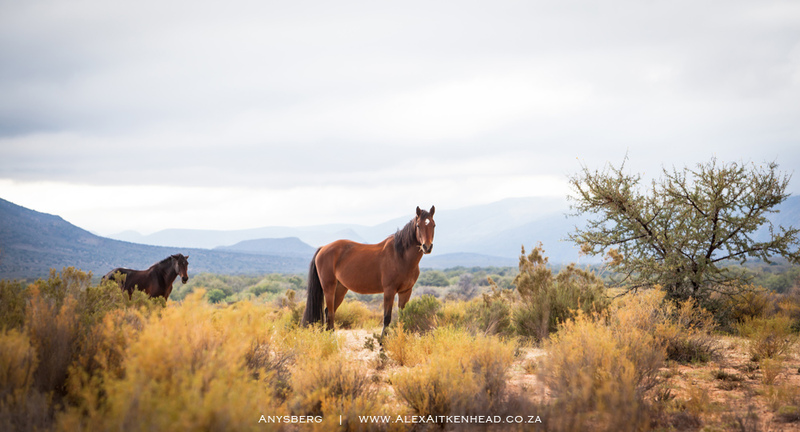 It was a pleasant and fairly short drive via Robertson and soon we were exploring this reserve. 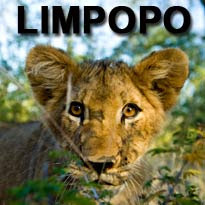 We were not too happy with the fact that the reserve accommodation and all their excursions is divided between a main road. This however proved to be no problem at all and we set off to explore it's boundaries. 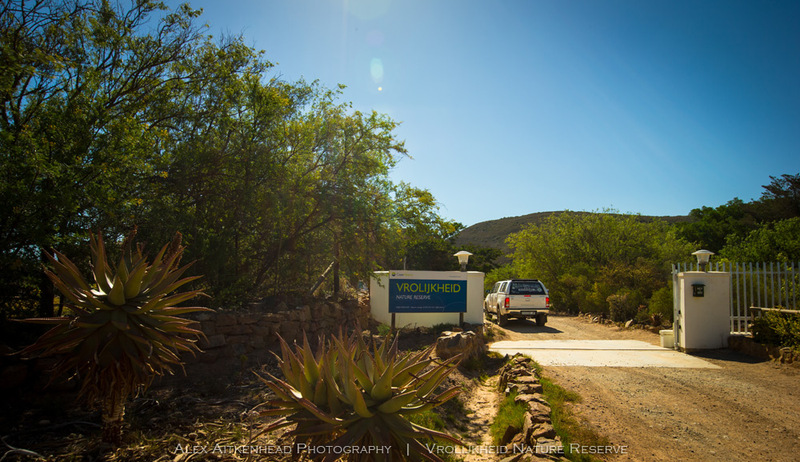 The accommodation was a luxurious farm-style house, with all the requirements for a comfortable home away from home. 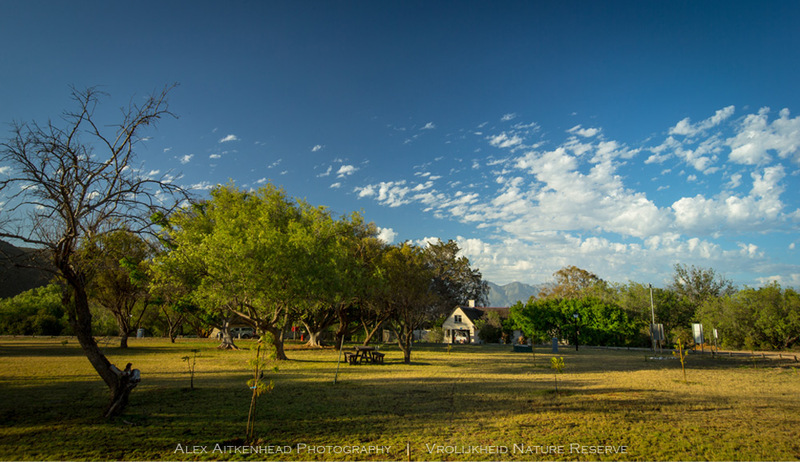 This included the much needed air-conditioning in all the rooms and a bubbling Jacuzzi next to the braai area outside. 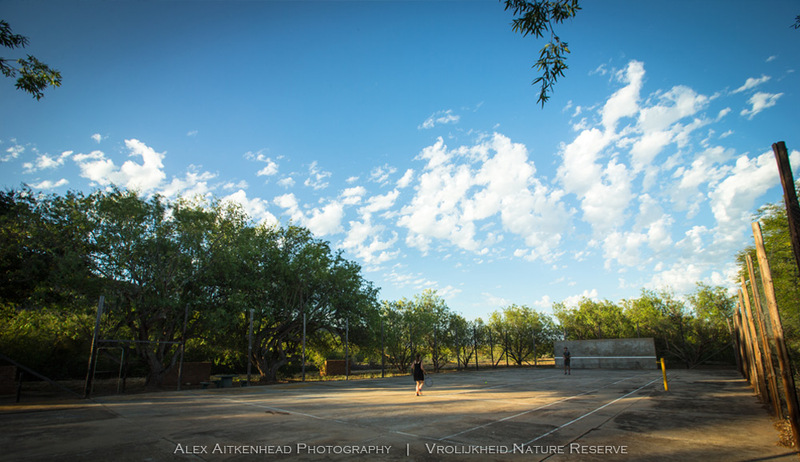 The fencing was very limited with wide open spaces to enjoy a short walk around the venue. 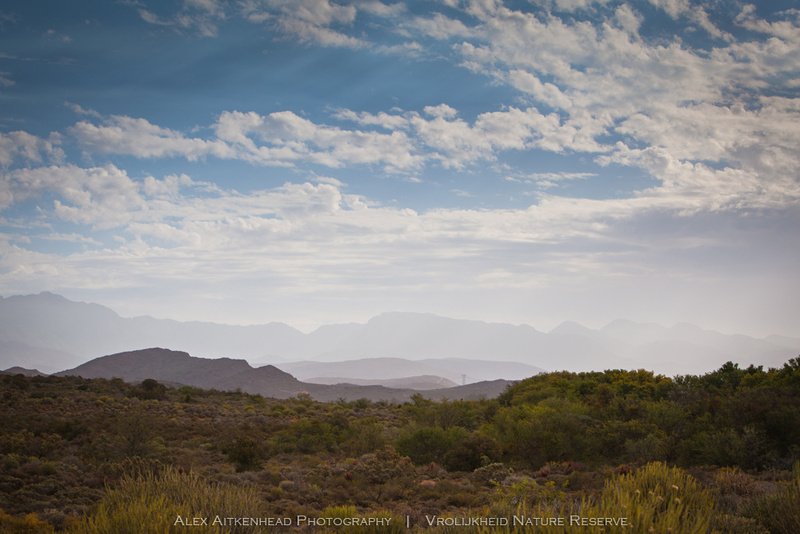 Looking westwards towards the distant mountain ranges, this is the typical Karoo Landscape of the area. Upon arrival we got onto our bikes and went to visit the various stops as per the Vrolijkheid map. 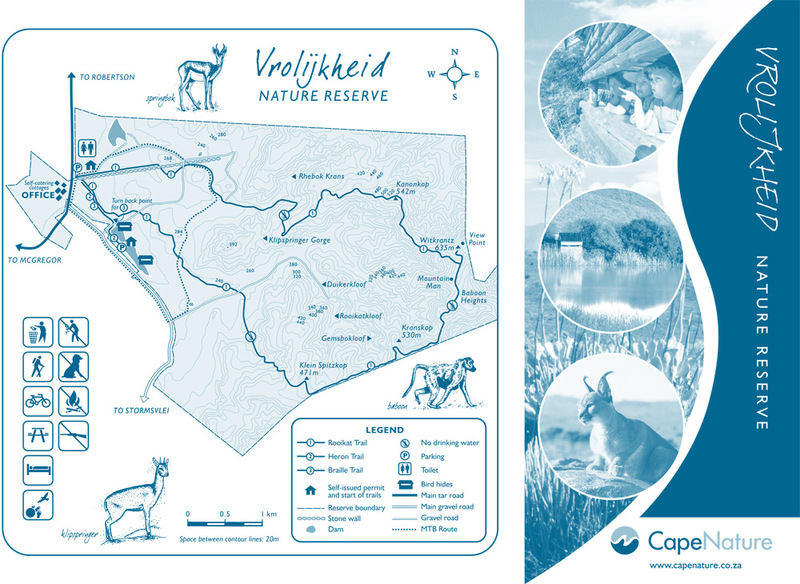 The image above is the official entrance to the Vrolijkheid Nature Reserve. 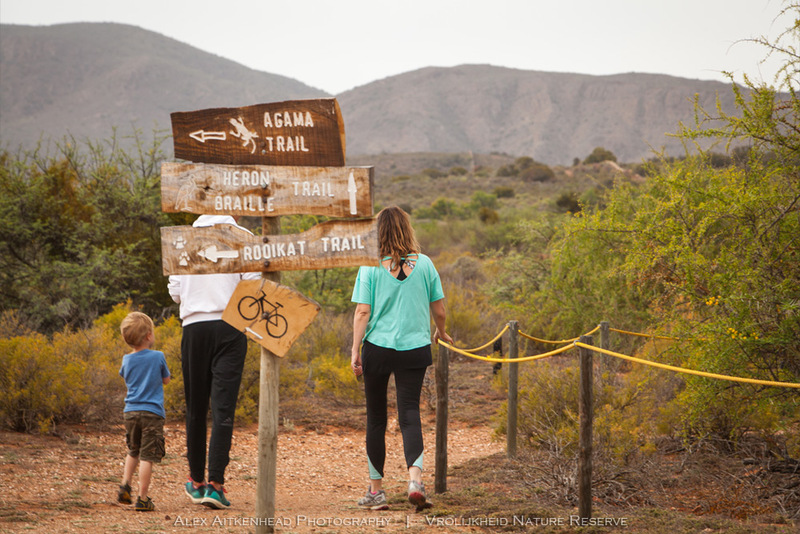 Here you will find a picnic spot and a information office, as well as access to all three of the dams, the circular hiking route: Rooikat (19km), The Heron Trail (3km) and Braille Trail (2km) and the 8km mountain bike route on offer. 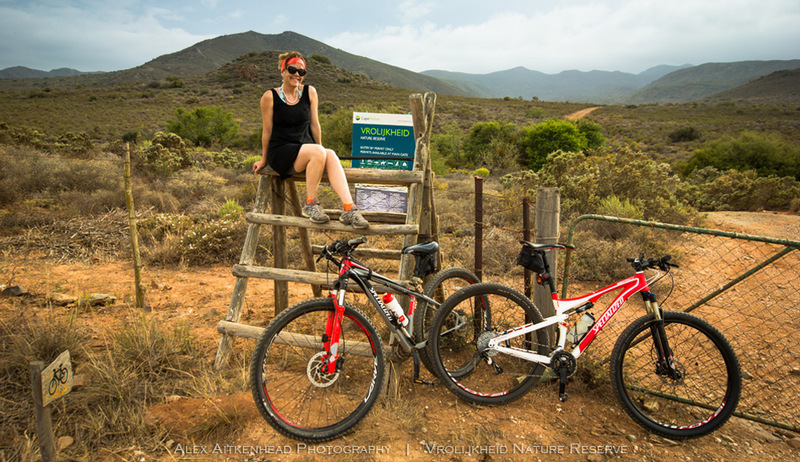 This is the exit point for the 8km mountain bike trail out of the reserve on the way back to camp. This route was very easy to ride and can be enjoyed by the whole family. 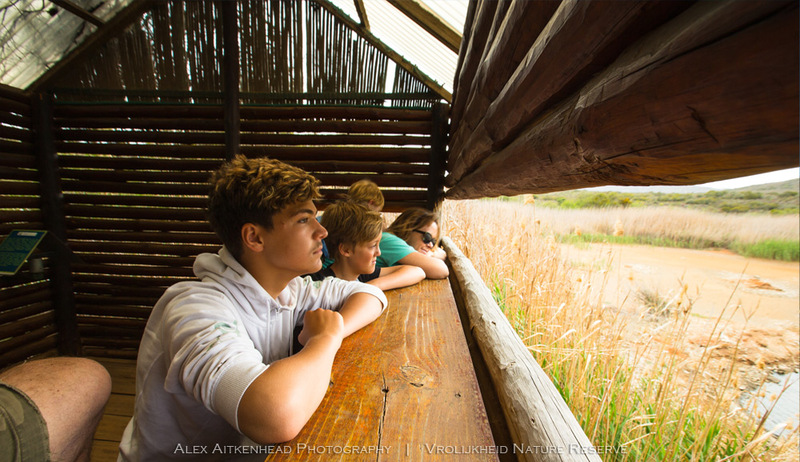 We find that the bird hides are not accurately demarcated on their brochure map. 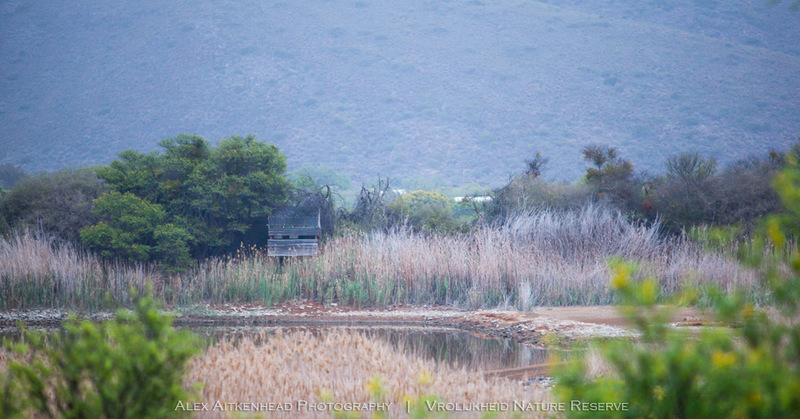 The bird hides can alternatively be reached by driving to the parking area on the Steenbokvlakte / Stormsvlei road. 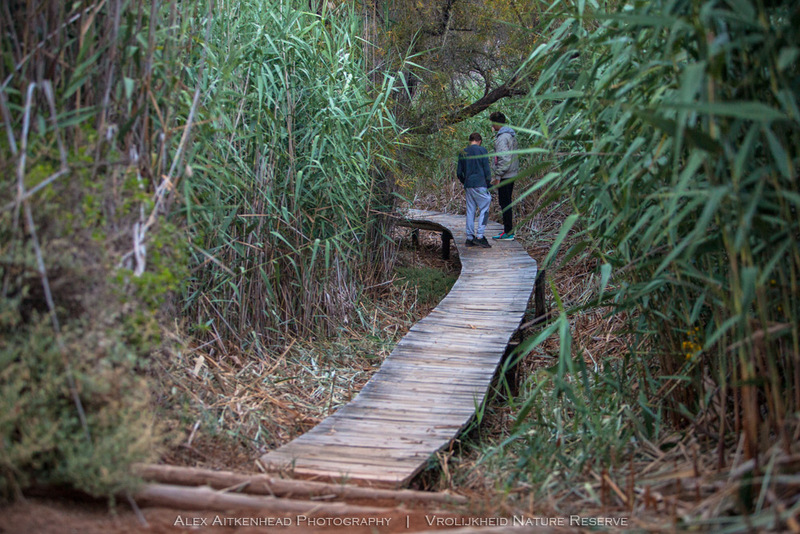 At the self-issue permit hut (not the one at the main entrance gate), you can take a left to the Heron Trail as per the image above, taking you to hide number two - or a right on the wheelchair friendly trail which is the third bird hike, a short walk away. 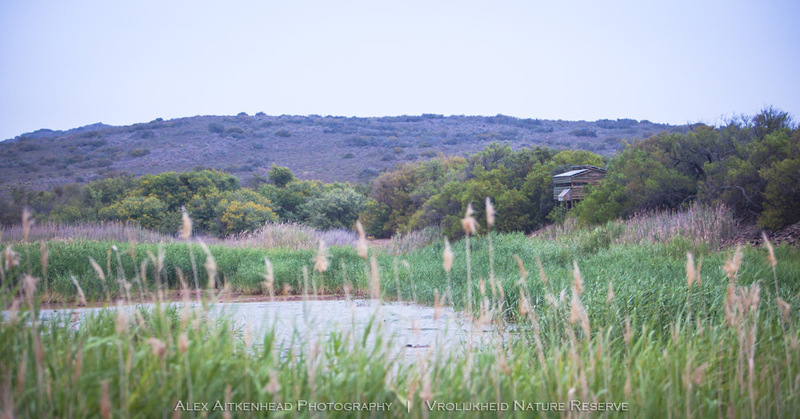 This photo showing hide number one, was taken from the dam wall that houses hides two and three. 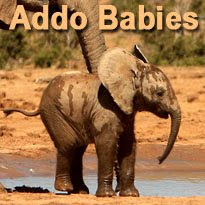 These two images are of hide number one. If you had parked at the main entrance, and gone on the Heron / Braille Trail you would end up at hide number one. Bird Hide number three is also clearly visible due to its unique build for accommodating a wheelchair. 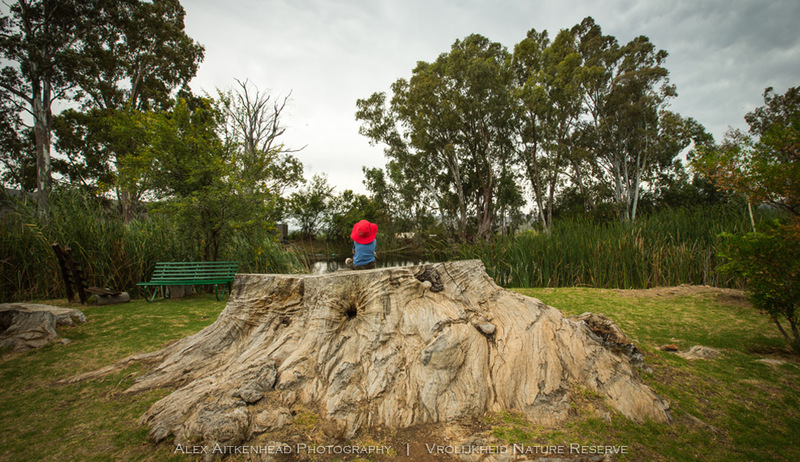 We were blessed to have two days of cloud cover, which allowed for some dramatic images and along with the much welcomed cooler weather and the odd raindrops. Clouds are always a welcome requirement when it comes to beautiful sunsets. 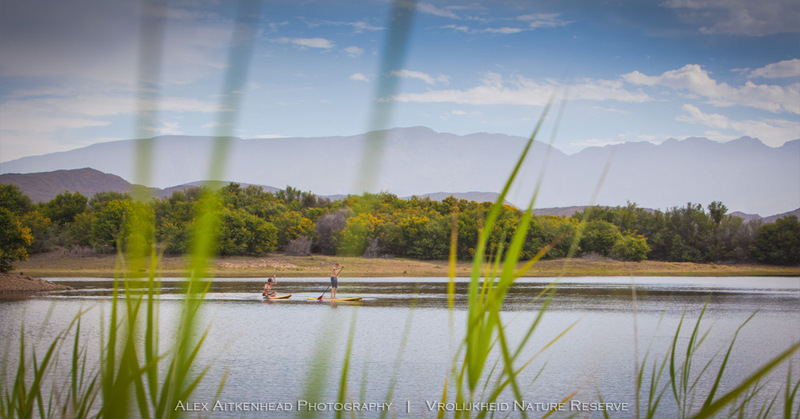 The dams on the reserve attract a variety of water birds, which made this reserve very attractive for us as avid birders. Amphibians and Reptiles are abundant, a highlight being the rare Robertson Dwarf Chameleon. The youngsters needed a lot of cooling off in what proved to be a very hot day as mentioned for this area at this time of the year. 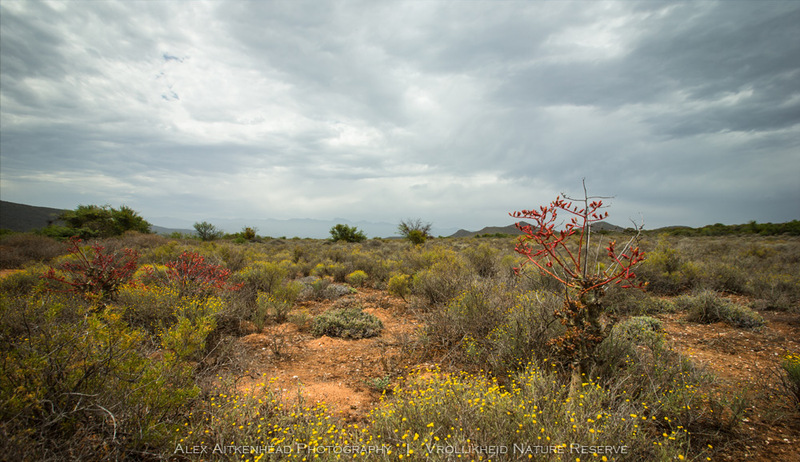 The vegetation in this rocky part of the Little Karoo is known as the arid Robertson Karoo. 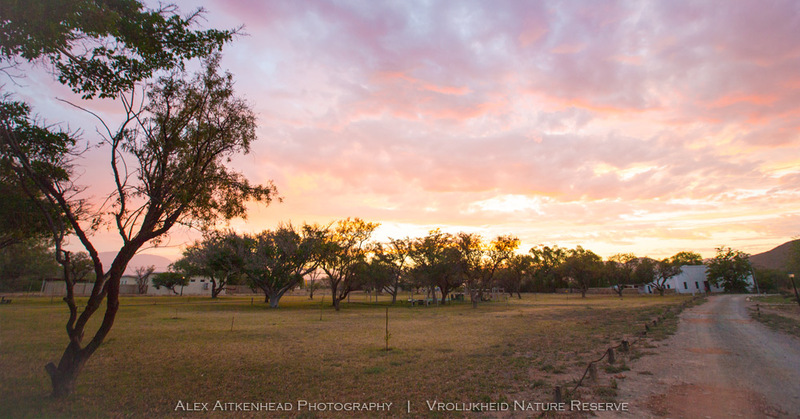 One of the highlights of our trip was going out on a night and early morning excursions looking for owls, night jars, scorpions, spiders and snakes. We saw the resident barn owl a few times, amd showed the youngsters the spiders and scorpions of the area. Sadly we did see a snake, but it was a fresh puff-adder road kill. One of the big draw cards for the youngsters in our family was the Jacuzzi. It did not disappoint. 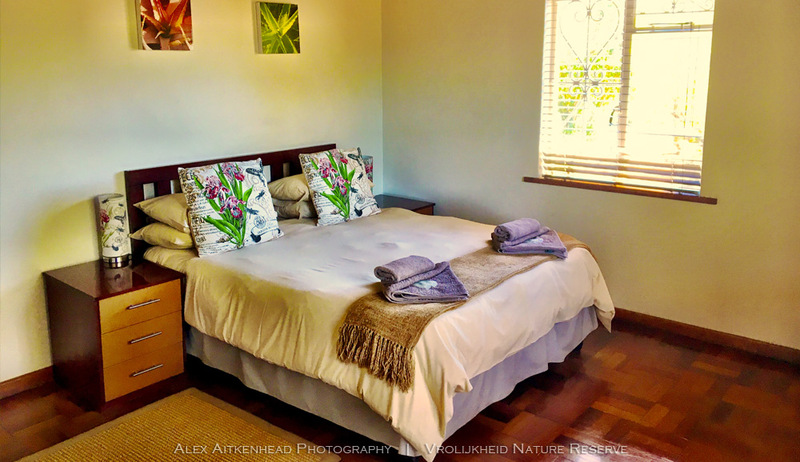 Five recently refurbished self-catering cottages are available for overnight visitors. Each of these large cottages sleeps up to 8 people in 4 rooms. 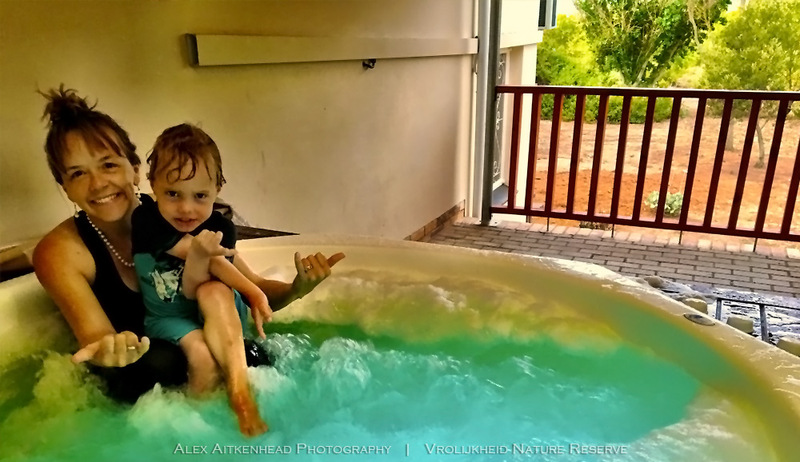 Being a fairly active family we loved all the various outdoor activities on hand, amongst others listed was the tennis court, the put-put course and a swimming pool. It was encouraging to be handed some tennis rackets and balls, along with the put put equipment, which we made use of and enjoyed thoroughly. EeOre is 45 years old (just like me!) and is of French decent. He is retired here and enjoys a good ear rub by the visitors. 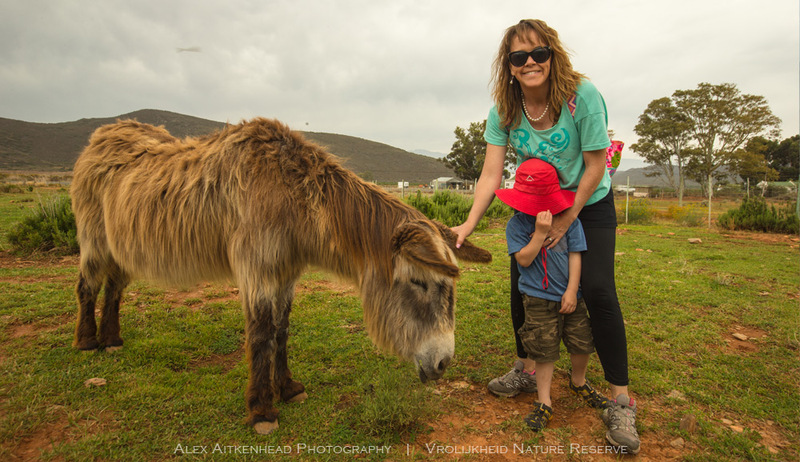 He is accompanied by at least 20 other rescued donkeys from all over South Africa, who find sanctuary at this wonderful 'resort'. Other points of interest in the immediate vicinity was the quaint historic town of McGregor and the lovely Eseltjiesrus Donkey Sanctuary. Here we enjoyed a tour of their local residents and a most welcome farm style lunch and hospitality. 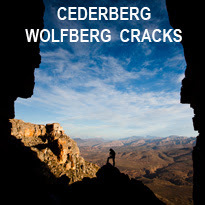 During January 2017 the Cederberg experienced a massive fire and destroyed much of the Wolfberg Cracks and Wolfberg Arch hiking route, which was our main hike mission for this trip. The route was then closed and all we could do was fill our days with alternate routes around the area. The Sanddrift Camp Site early morning warm sun shines onto the visitors, while the charred mountain about prepares for it's slow recovery. 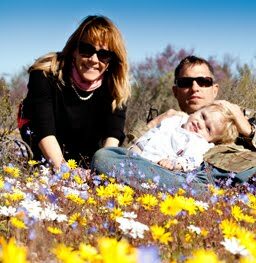 The Maltese Cross is a 4 hour route there and back and worth visiting when going to the Cederberg.